The service is available for both Prepaid and Postpaid users. 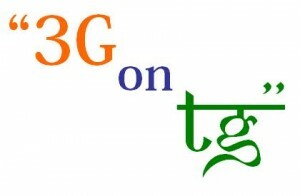 Currently, users cannot migrate from existing 2G service to the 3G one. They will have to buy a new Sim for the same. Overall the plans look quite good. The subscription charge of Rs.300 is also quite appropriate for the service being offered. Also, the concept of a trial pack @ Rs.60 might help users experience the service before they plan to take a particular plan. As for the data plans, BSNL’s made sure it caters to different groups. Though the unlimited plan is the most preferable, its price tag takes away its charm. The 2Gb-5Gb plans should work well among users as they are priced quite appropriately. However, the same is very subjective and purely depends on your usage.